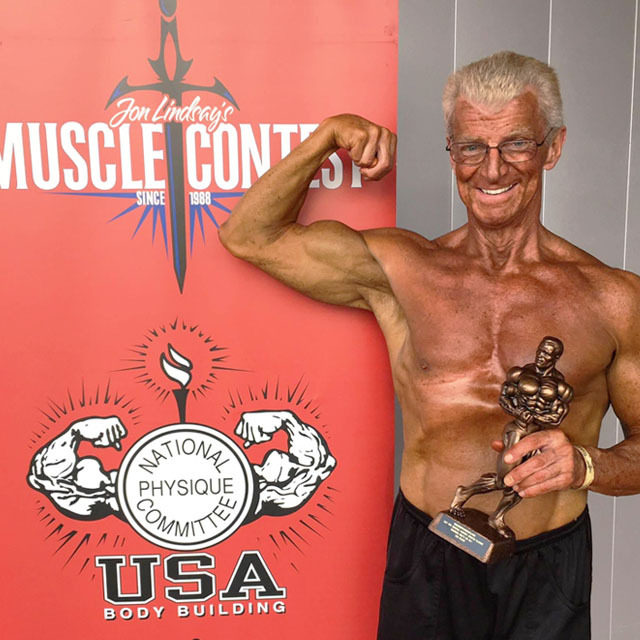 "I started going to the gym and bodybuilding at age 58, and my first show was at 59. I’m going to be 70 in July. I’ve been in 10 shows and I have 10 trophies that I’ve won. In doing that, I’ve had many companies approach me at the shows, offering me all types of products. It’s not that I’m in that great of physical shape... I mean I am in great shape for my age, and that was the factor. Most guys my age don’t do what I do. So a lot of these companies wanted me to use their products, wear their t-shirts, and all those types of things as marketing for them. They would give me free products and over the last 10 years I’ve used many, many different products, but I’ve never found anything out there that I noticed a difference with. Now Jerry Brassfield and I have been friends now for 40 years, and we recently got back in contact. So we started talking again about NeoLife and I started using the NeoLife SPORT Nutrition line along with Pro Vitality. Within a couple of days I noticed that my energy level in the gym and my intensity level was more than it had been, but I just thought at first that it was a psychological thing and it was just a coincidence. However, now it’s been 6 months that I’ve been using the product and overall it’s really increased my intensity to train. I’m 13-14 weeks out from my next bodybuilding show, which is to become an IFBB Pro Bodybuilder and these products have been a major factor in it. They’ve definitely helped me. I can feel it. I can see it. Just the other day, my training partner was saying “Golly! The intensity that you have...!” And he is 40, so I’m 30 years older than him and he’s having trouble keeping up with me!" What does the phrase ‘Living the NeoLifestyle’ mean to you? “It means you become a product of the product. When I’m walking around my community and people see me, see the way I look, the way I act, the way I respond to things... I want people to look at me and say “I don’t know what it is that guy has, but I wish I had it! You should have that passion, that excitement, that fulfillment, that attitude that you’re alive and full of life. If you’re alive and full of life, everyone wants to be around you and find out what in the world you’re actually doing. So living that lifestyle means you’re taking the product, living the life, enjoying the life, dreaming the life.